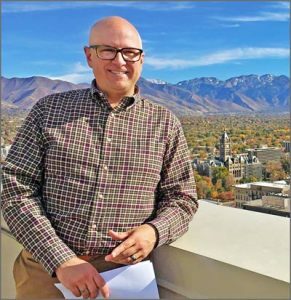 With 20 years of successful real estate in Salt Lake City, Tony has built a reputation of accessibility, trust, and neighborhood expertise that his clients can rely on. He has been a top-performing agent at Coldwell Banker, RE/MAX, and Fantis Group Real Estate. Tony is a proud supporter of the University of Utah Hospital Foundation and has served as a volunteer for the Utah AIDS Foundation and the Salt Lake City Board of Realtors Technology Committee. He is also a member of the Salt Lake Board of Realtors, the Utah Association of Realtors, and the National Association of Realtors. From Tony’s popular SLC real estate search website you can search every listing with every real estate company in town, organize your favorite homes, and browse the neighborhoods most popular amoung incoming residents and fellows. Visit SaltyHomes.com on your mobile or desktop to find the right home near the universities and hospitals! Feel free to refer to his handy FAQ Page for Relocating Doctors any time of day or night. Tony is a Cleveland, Ohio transplant who sought out the “Greatest Snow on Earth” and never turned back. Tony has sold over 300 homes and prides himself with taking great care of his clients, both before and after moving into their homes. In his ‘spare’ time, Tony enjoys skiing, wine tasting, checking out new restaurants, and European travel. This entry was posted in Real Estate Agents on July 16, 2012 by PIM Admin.